In addition to receiving the digital Diploma thanking your participation in funding the clinic, your name will be mentioned on social networks; additionally, you could have a your photograph with the Toubab logo. Diploma, broadcast on dedicated networks and a signed Toubab photo. A photograph with one member of the Toubab team or someone from the local community carrying a blackboard with your full name and/or nickname. The photograph will be posted in our social networks and website. In addition, you will receive by e-mail a high-quality copy of the photograph ready for printing. You will also get a digitalized Diploma thanking you for participating in funding the clinic. The photograph on social media and website is restricted to only those donors that agree on the posting. In addition to all the rewards in the above categories. A personalized acknowledgement of the donor (name and surnames) in both the hard copy and digital forms of the book. For the first 15 a Toubab T-SHIRT. In addition to all the rewards described in the above categories. Direct home mail delivery (postage included if in Spain) of the printed book with the photographs of the construction of the clinic and interviews, which are part of the collective reward. Toubab Book and Invitation to the book presentation party! In addition to have your full name printed and receiving a hard copy of the book, you can come to pick it up personally the day of the book presentation party. You can then meet everybody in the Toubab team and get first hand details of the project. If you come you will also receive a Toubab mug. We say HELLO from Senegal! 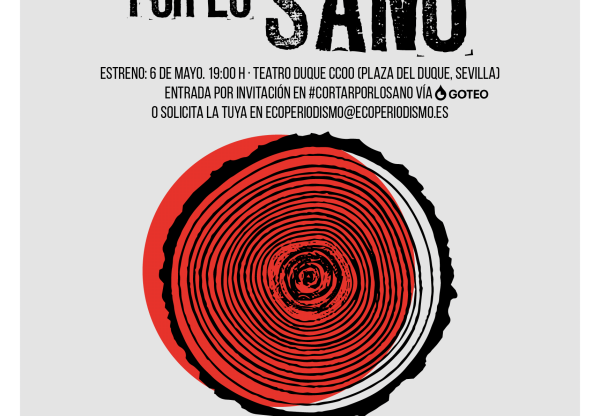 Opportunity to participate during one of the visits to Sam Sam in a videoconference with the project participants. The visits are designed to monitor the construction, so you can learn first hand detailed information of the Project as well as its positive impact of the comunity. E-Workshop of 30 ' videoconference of the donor with the Toubab team, and the nun and teacher Regina, the local leader of the Project. She is the Director of the Women’s Center in Sam Sam and importantly our counterpart in this dream. Meeting her will be a life changing and your will know that your money is in good hands. In addition to all the above rewards. The photograph of the donor will full or nick name on a designated place within the clinic. Your imprints will be forever part of the building. We will send you a replicate at home. The space for the clinical practice will have an extension of 11 m2. Likely, it will provide daily service for 300 people including men, women and children from the Sam Sam neighborhood. Having the support of the State and local authorities, the dispensary will provide 5 days of consulting per week to treat the most prevalent diseases within the population: malaria, respiratory and dermatology infectious diseases, diarrhea and malnutrition. We plan to computerize the medical records and this will increase the safety of the patients. We will work together with physicians and patient groups. The dispensary can provide health care services to more than 300 people a day, who currently have no access to any type of health network. We need a good planning foundation. A treatment room of 11 m2, will be located next to the room dedicated for clinical practice. The building needs a strong foundation. The treatment room will held nursing services to treat wounds, burns and infections. It will also serve for small surgical interventions such as drainages and injury excisions, otic washes and vaccinations. Undoubtedly, it is the most important room of the clinic, with an influx of about 200 patients a day and where treatments will be done sometimes without analgesia and antisepsis, something to which we are used to in the first World. This particular issue is the one we want to work harder and train professionals. The treatment room is a multifunctional space where the nurses will mainly perform the cures. It is therefore a major place that will provide quality treatment of serious burns, wounds and infectious skin lesions, which are common in Senegal, and affect many people’s lives. The aseptic conditions in this room will be critical. We want to emphasize that the implementation of aseptic practices will bring many benefits to the population in preventing sequelae from for example, an infected limb wound. We want to reach with special interest to nursing schools, care nursing and nurse educators. The clinic hospitalization and treatment room will have an area of 35 m2, including one full bathroom with toilet, sink and shower, as well as an outdoor steam room for all patients and visitors. Bathrooms will flow into a septic tank located at the western end of the clinic grounds. A good foundation is necessary. Approximately 100 patients will come to this room. The treatment room is a multifunctional space it will be used to perform transfusions as well as infusions of malaria treatments. Patients with fever, diarrhea or convulsions will come to the treatment room and check in. We will work towards its funding from the general population, health administration and patient associations. The maternity room of the dispensary will have an extension of 52 m2, including a full bathroom with toilet, sink and shower, as well as an outdoor steam bath room for all patients and visitors. Bathrooms flow into a septic tank located at the western end of the clinic grounds. In Senegal, it is required by law and to ensure the survival of both mother and baby that women come to monitor their pregnancy and to give birth to the clinic. In Sam Sam this is not possible because for a whole population of 10,000 there is no place to carry out this right for women: “to receive quality care and live their motherhood without putting the mother’s life in danger”. The maternity room is the most important room in the clinic and is the reason why Sister Regina has been working all these years. She has seen how after putting the efforts to educate the young girls, as she calls them, they die during childbirth. The maternity room is the largest room and it is also the delivery room. The midwife will be there as well as, women will come for both the dilation of birth and the postpartum. This room will be able to hold up to 20 births per week and we specially intend to work for getting the salaries of midwives and gynecologists. A good foundation is necessary. The pharmacy and storage are two adjacent rooms, each of approximately 12 m2. They will be used for the storage and the sale of medicines, but also for the production of medicines, conducting laboratory tests (e.g. diagnosis of malaria, pregnancy ...), preparation of surgical materials, etc ...). In Senegal, patients have to pay for consultations and for each of the resources used in diagnosis and treatment (gauze, bandages ...). In general and to reduce the cost, the clinic will buy wholesale. The laboratory rooms and the warehouse will hold the functions of storage and community pharmacy. Every day there will be more than 500 people stopping by the pharmacy. We especially want to involve pharmacists and pharmacy schools. A good foundation is necessary. 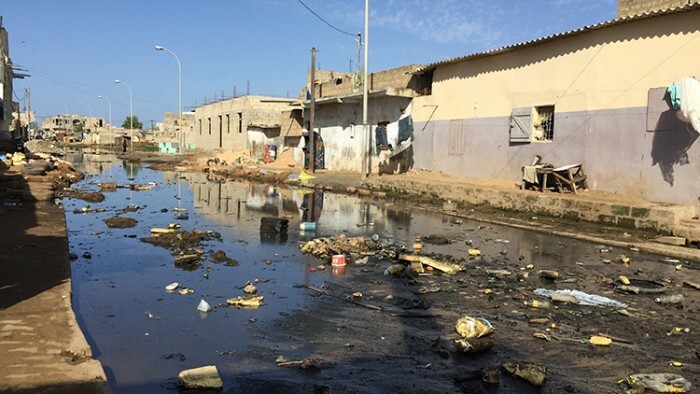 On the outskirts of Dakar is a cesspool called Sam Sam neighborhood, in the district of Pikinie, where 10,000 people live in precarious conditions. Sam Sam is under sea level, in an area where the ground water is just a few meters from the surface. In rainy seasons Sam Sam becomes a morass of garbage and overflowing septic tanks. Due to the lack of sanitary conditions in Sam Sam, life expectancy is about 60 years. In addition, there is not a single medical unit where to go in the area. There is neither a decent delivery room, so maternal mortality during childbirth is extremely high. This is a health indicator with disastrous consequences. We aim to improve this situation with our current project, among others. Our goal is to build successive phases of funding, a dispensary equipped with doctor’s offices to take care of children, women and elderly, and a room dedicated to childbirth and for treating patients. The dispensary will also have a pharmacy and a laboratory to prepare and dispense first need medicines and to perform diagnostic tests, as well as a treatment room for primary care patients. Altogether, we will be able to provide health care to the people in this poor neighborhood, and importantly we will promote health education. The dispensary will also be a place to carry out community health activities (such as childbirth preparation classes, perinatal care, family planning ...). The construction of the dispensary will allow providing 120,000 primary health care services per year. Sam Sam is under sea level, in a region where ground water levels lies a few meters from the surface. For this reason the cost to build the dispensary is high. A good percentage of the total budget will be used for the foundation of the building. The first phase of the financial planning and funding will be dedicated to build a strong and durable foundation for the center. The dispensary will be equipped with waterproofed septic tanks, what will prevent water overflow during the rainy season. Also, thanks to our contacts in the region, a local construction company with outstanding credentials will carry out the project. This will ensure using high quality materials that are key for the success and durability of the project. We are a committed association; we have trusted local contacts in the neighborhood. We also have support from State and local authorities and they assure that our project will be successful. A contribution of only 1 € will allow us to serve 4 people. Now all we need is your help, without your help such a big Project wont be possible. Do you want to help us? Our goal is to build from a swale ground awarded by the local Goverment, a Health Center. The Health Center will have doctor’s offices to attend children, women and elderly; a maternity room and a treatment room for patients. The Center will have bathrooms, a pharmacy and a laboratory to develop and provide medicines and for diagnostic tests; it will also have a treatment room for primary health care. Each room will have windows to the outside for ventilation and natural light. Similarly, the treatment and maternity rooms will have inside and outside WCs for the use of visitors and other patients. This will allow minimizing the costs of the septic tank in that part of the building. The septic tank will be waterproofed what will prevent the entry and overflow of water during the rainy season. The construction of the Health Center, will allow providing 120,000 health care services in 1 single year. In addition of providing primary health care to people in this poor neighborhood, the center also will be a place to carry out community health activities (such as childbirth preparation classes, perinatal care, family planning, hygiene promotion ...). 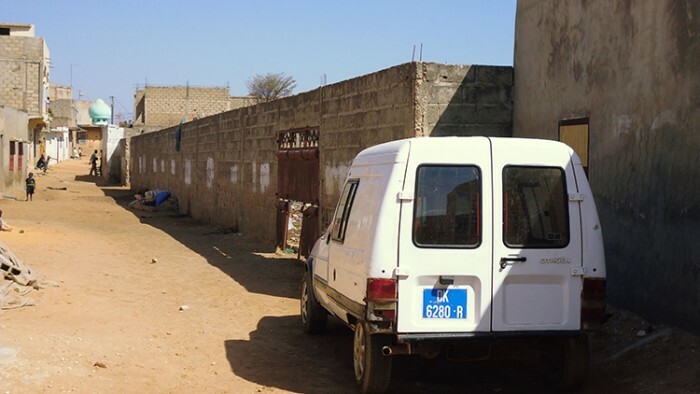 We arrived in Dakar in November of 2015 and met other volunteers, NGOs and missionaries who told us about Sister Regina. They gave us her contact information and when we called her she said, "There is so much to do in this place". We did no hesitate and went personally meet her, and to know the neighborhood where she lived. She spoke enthusiastically of her project, a clinical dispensary for the neighborhoods of Sam Sam. We caught her enthusiasm and optimism, her strength and perseverance, trust and professionalism, and her confidence and seriousness towards her goals. The project is aimed for everybody in Sam Sam (approximately 10,000 people), its neighborhood as well as other nearby neighborhoods within the region of Pikine (approximately a total of 100,000 people), whose health is below the WHO minimum recommended basic levels. Therefore they cannot enjoy a dignified and fulfilling life that will allow them developing normal daily activities. For this reason, we aim to build a Health Center that provides assistance to some 12,000 people. • The construction of a Health Center for health care. • The training of professionals who will work in the center. • The official opening of the facility and the commission of the services. • Annual monitoring of the progress of the clinic, and working closely with local professionals. a) The people will be closer to Health Services. b) The Sam Sam Health Center will become a reference structure for all the districts in Pikine. Local and National authorities provide the necessary equipment, furniture and staff to run the center. The main objective of this project is to improve the health status of the population of Pikine and surrounding towns. Our goals are 1) to reduce maternal and infant mortality during childbirth or from complications of childbirth; 2) to improve immediate primary care in accidents and emergency units; and 3) to address the most prevalent diseases and other endemic diseases such as malaria, infections, etc. We, the Toubabs Team, are the drivers and executors of this project that is carried out without intermediaries. 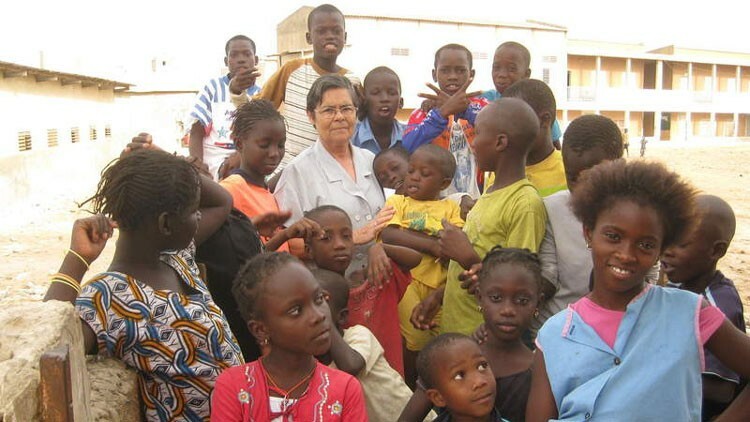 We supervise the entire project from Spain and Sister Regina Casado supervises it from Senegal, she is our local partner who takes care the neighborhood. We travel regularly to Sam Sam to supervise and monitor the Project. Out next trip is in November of 2016. Our team: We are Cristina Andana 34, President and Nurse at the Hospital of Vinalopó in Elche, Maria Angeles Medina 51, treasurer and Family Doctor at the Hospital of Vinalopó in Elche, Josep Moreno 60, secretary and Family Doctor at the University of Alicante General Hospital and Juanra Ramirez 31, and Carol Martinez 34, both vocal and Nurses at the Hospital of the Vinalopó in Elche. 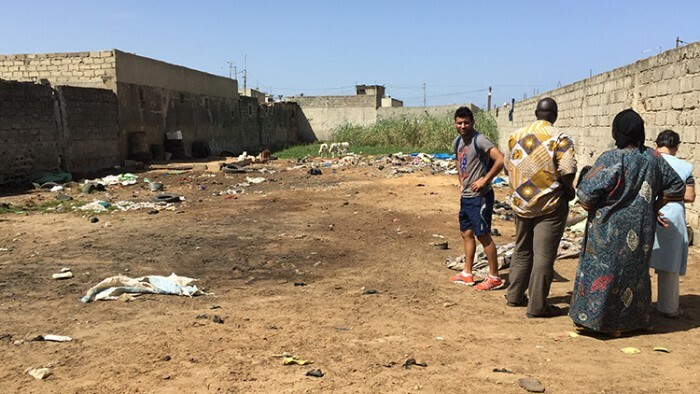 In November of 2015 with our backpacks and full of enthusiasm and hopes, we went for one month to Dakar, Senegal. During those four weeks we traveled to different parts of the country and worked in rural clinics (dispensaries Saint Laurent in Dakar and Sanghe, Thiiés), orphanages (The Pouponnière of Dakar), nurseries (in Sanghe) and schools for women (Promotion Center female Kalasans Sam-Sam). 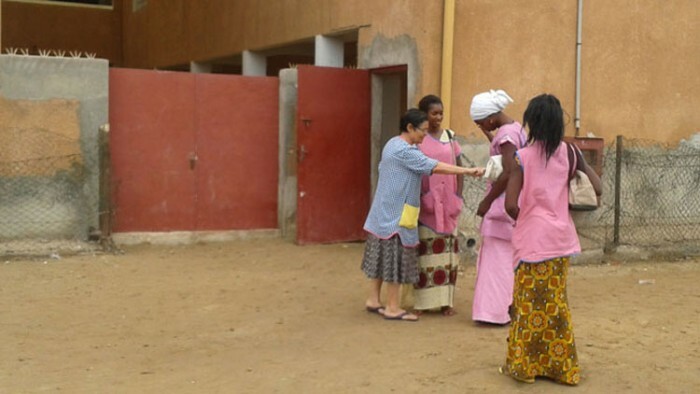 We connected with other volunteers with NGOs and missionaries who had already spent many years working in Senegal and who helped us understand the needs to work on. We have contacted serious and trustworthy people who in Senegal will be the counterparty and will provide transparency to the project. These people are professionals, community leaders and neighbors who felt our commitment and who provide the Know How to the project as well as its long-term viability. The Toubab Book: "Building Hope"
The Toubab Book "Building Hope" will be published in high quality with photographs and interviews of people living in the neighborhood. There will be brief descriptions of what it means to the people and the community to build this clinic, how is to live there and how much peoples’ live will change once the dispensary is functionally operating. This book is part of a trilogy: One with the As-Is situation, other during the construction and the last once the constructions are finished. All of them with the Licence Creative Commons, digital format available in our web www.toubabsteam.org, a printed version will be available contacting the Toubabsteam.